Research shows that moving freely in labor improves your sense of control, decreases the need for pain medication, and may reduce the length of your labor. Download 8 Key Labor Positions Proven to Help Labor Progress and pack it in your hospital bag or save it on your phone. Movement and positioning in labor work magic. Movement enhances comfort by stimulating the receptors in the brain that decrease pain perception. When contractions become very strong, endorphins are released and pain perception decreases even more. Ultimately, your movement in response to your contractions decreases pain and facilitates labor — a win-win. Movement also helps the baby move through the pelvis, and some positions enlarge pelvic diameters. The positions shown here facilitate the normal, natural process of labor. What position should you use? Follow your body. Move freely in response to what you feel. Your body will let you know just what position is best at every point in your labor. Arrange to have continuous support in labor from a professional labor assistant (a doula) or a close friend or family member who makes you feel safe and confident. Ask them to remind you to try different positions or activities in labor. Keep a list of the positions that you like best and bring it with you as a reminder in labor. 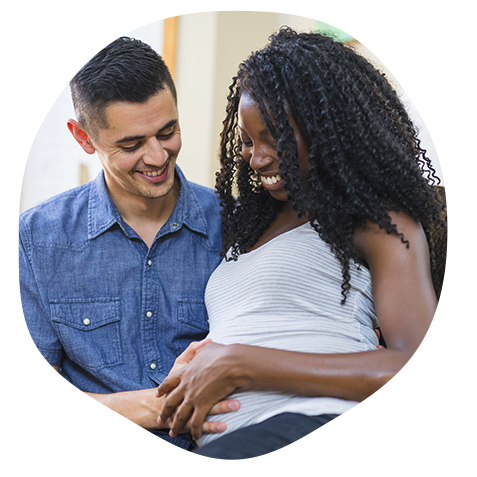 Practice positions and movements before your labor begins, so you and your partner feel comfortable and confident using them.